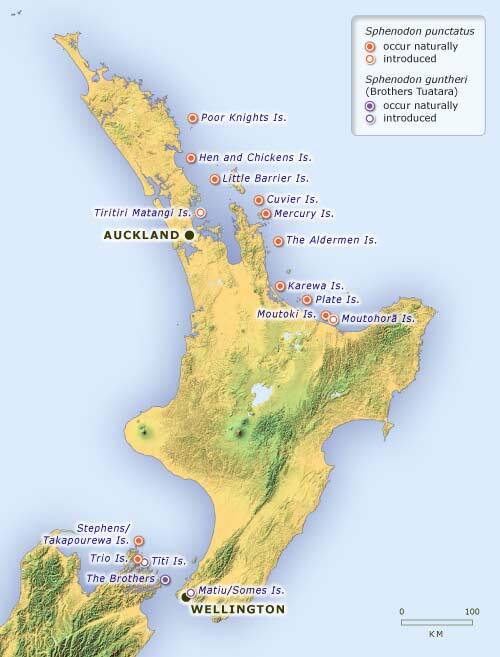 Wild tuatara are found on nearshore islands, occurring on the mainland only where there are captive rearing facilities or predator-free refuges. Fossil records show that tuatara were once widespread in the North and South islands. Scientists cannot tell whether the fossil bones are from the two surviving tuatara species, or from undescribed species, now extinct.